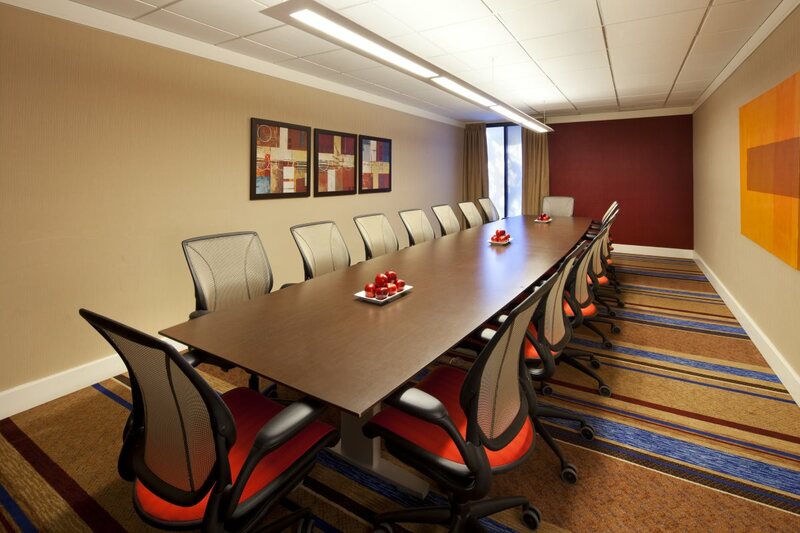 Beautiful Conference Table with up to 14 conference chairs. Drop down Screen in room. Utilized as an office or conference space. Dimensions 20 x 12 sq. ft.